The All Progressives Congress and its Senate caucus are considering no fewer than three senators to replace the President of the Senate, Bukola Saraki. Besides looking for Saraki’s replacement, it was gathered that the ruling party and its members in the Senate were also considering three senators to replace the Deputy Senate President, Ike Ekweremadu. 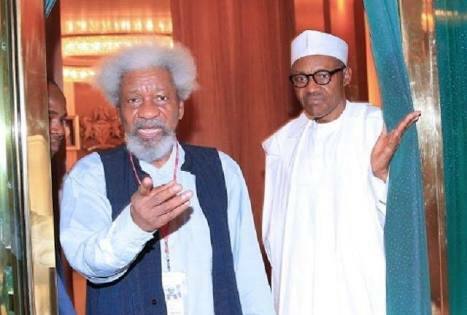 The APC, since the defection of Saraki to the Peoples Democratic Party, has been calling for his resignation, threatening that the President of the Senate will be impeached, if he fails to resign. Those the APC has penciled down for the President of the Senate, according to sources in the APC Caucus, are the Majority Leader, Senator Ahmad Lawan; former chairman of the Northern Senators’ Forum, Senator Abdullahi Adamu; and former Majority Leader, Senator Ali Ndume. One of the APC senators from the South-South, who spoke on condition of anonymity, told one of our correspondents on Friday that the ruling party might adopt one of the aspirants as its candidate to replace Saraki. It was learnt that while the APC planned to retain the positions of the Senate President and Deputy Senate President in the North and South, respectively, the geopolitical zones might change. For the incumbents, Saraki is from Kwara State in the North-Central, while Ekweremadu is from Enugu State in the South-East. 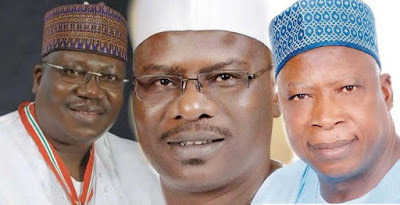 For the replacements, Lawan is from Yobe State in the North-East; Ndume is from Borno State, also in North-East; while Adamu is from Nasarawa State in the North-Central. Asked to confirm the aspiration by Adamu, Lawan and Ndume, the source said, “Yes, but Ndume is not there (among the aspirants). There is a consensus and it is Lawan. There is nothing for Akpabio yet, though he is eyeing the deputy Senate presidency. In 2015, the APC adopted Lawan to be Senate president but Saraki had formed an alliance with the PDP caucus, who gave him 42 of the 53 votes that made him win the seat on June 9, 2015. The Deputy Senate President seat was also ceded to the minority PDP, leading to the emergence of Ekweremadu as the occupier. Uzodinma, who is one of the recent defectors from the opposition PDP to the APC, is from Imo State in the South-East. Also speaking to The Punch, an APC senator from the South-West, who noted that the ruling party might insist on Lawan, being its candidate from the outset, said members of the caucus were also considering Senator Sonny Ogbuoji to be deputy Senate president. Ogbuoji is from Ebonyi State in the South-East. Another APC senator, who also spoke on the condition of anonymity, however said Ndume was among the aspirants. The source recalled that Ndume also contested against Saraki just as Lawan.